Whether you're B2C or B2B, you need to pay attention to SEO and SEM. Gene McKenna and the folks at Groupon are doing interesting things in SEO and SEM. Continue reading for Gene's insights on SEO, SEM, HTTPS, Mobilegeddon, local search and yes, internet-enabled underwear. Tell us about your role at Groupon? I have a really fun job. I run search marketing at Groupon, which includes free search, aka Search Engine Optimization (SEO), and paid search, aka Search Engine Marketing (SEM). I've been at Groupon for three years and came through an acquisition. In many instances, our team provides services to Groupon that stretch beyond a superficial interpretation of our mandate. The SEO team created the first on-site search and browse experience at Groupon, launched Place pages and built the CMS tools used for non-deal content, like the Groupon Guide. The SEM team owns marketing services that power our display and affiliate teams with both internal and external partner users. We are increasingly integrating with the supply side of Groupon's business to help inform what deals to go get. It's fun to be right in the thick of it. Tell us about the different functional roles on your team? Historically there was an SEO team and an SEM team. We have recently brought them together into a search marketing team. Functionally there are still these two streams, but they are starting to merge around the performance metrics that both rely on. We've even discovered that the simplest SEM bidding function is one that ranks the millions of possible pages you could make and decides which ones SEO should index. "We care about being fast, fast, fast, so everyone pays attention to speed." Throughout the search marketing team we have data scientists, back end "Big Data" engineers, awesome systems designers, application developers, QA and people that do amazing user experience coding. We don't have a design function within our team, but the Groupon Design Union sits right next to me. Throughout all groups, we care about being fast, fast, fast, so everyone pays attention to speed. How did you prepare for Google’s Mobilegeddon? Fortunately, we were prepared for Mobilegeddon. We made all our core pages mobile-friendly in 2014, with a few stragglers not getting done until February 2015. When we saw all our pages with the "mobile friendly" tag in March, we felt pretty good. Note: check out Google’s Guide to Mobile-Friendly Websites. We also paid a lot of attention to the warnings in Google Webmaster Tools about buttons being too close together for mobile users and things like that. It was a great opportunity for the SEO team to inform Groupon product and design on some helpful usability tips. "Any landing page can be better optimized, always." A related one we've been working on was the switch from HTTP to HTTPS. Our SEO desires and our privacy-minded folks were the main evangelists for getting this done. It was a ton of work across many teams to get it done and we threw the switch for groupon.com a few weeks back. We haven't noticed any obvious increases in SEO traffic as a result but simply the fact that we now have only half as many accounts to manage in Webmaster Tools is a huge relief. Now, only 43 countries to go. I could write an entire blog post about the challenges in managing multiple robots.txt files and sitemaps while a company tries to test its way into an HTTPS rollout, sometimes one URL path folder at a time. It's definitely an area where Google could help make things a ton easier, starting with a button that says "assume my http site and my https site are the same." Are different mindsets or personalities required to do SEM vs. SEO? 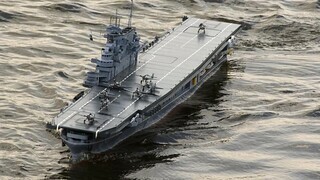 "SEO is like a giant aircraft carrier. Point it in the right direction and get it moving and it will stay moving and even speed up on its own." No, different mindsets are not needed between SEM and SEO. Different mindsets are needed between the functional components within either, between data analysis and application architecture, or between product managers and engineering managers. There are more significant divisions within any one team than between any marketing or product teams. One big difference between SEO and SEM is switching speed. SEO is like a giant aircraft carrier. Point it in the right direction and get it moving and it will stay moving and even speed up on its own. SEM lives and dies anew almost every day. Stop bidding, stop earning. This is interesting in a place with constantly changing inventory. One day we have eight deals on Milwaukee Italian Restaurants, the next day we may have none. The approach for SEO and SEM ends up quite different in those situations. For a marketer getting started with SEO today, what first step generates the biggest bang for the buck? It depends on your site's current SEO status. If you are a start-up with a new domain, good luck. I've been there and spent five years getting to 4MM visits per month. It's really hard work on a lot of fronts. The best single thing you can do is publish some really entertaining thing, relevant to your business, that goes viral and gets 10,000 links. This wasn't why Groupon built out a humor team, but it's sure awesome to have. Sometimes good luck falls in your lap when you realize your company sells products like this or this or you make up bald face lies and stick to them to the end. If you are at an existing site that has a troubled SEO history, crappy links, massive duplicate content and tons of on-site errors, you can really do nothing else until you get that under control. On my first day on the job at Groupon we had over one million errors in Webmaster Tools and Google would only show us 1,000 at a time. It was serious whack-a-mole. Find the one or two patterns you could see in the 1,000 errors they showed. Fix the bugs responsible for those patterns. Mark those 1,000 URL’s fixed in Webmaster Tools. Wait a day. Get another 1,000 from Google. Repeat ad nauseum. It took a few months of this to get to sanity. Can you share some local search tips? Groupon has three channels: Local, Getaways and Goods. Local and Getaways (travel) are more similar from a search perspective. Travel needs all the rich geography local has and then more on top of it. I worked in travel search before Groupon, so I was pretty well-trained on search with a geographic component. Geo-based search is bit like having a two-dimensional taxonomy: every category repeats again in every city. You build around that pattern of variable geography. You use it to advantage in SEO A/B testing. In SEM, you learn how and when to aggregate bidding data by geography. And you have to think about where your users are now relative to the geography they are searching. There are always two locations to consider for every page view. There are fascinating geographic problems. You think about density of certain categories of businesses in certain locations. You learn about geographic hashing schemes. GeoNames is a wonderful resource. Not perfect, but a great place to start, especially if you're a startup in local or travel. I've learned lots of arcane geography. 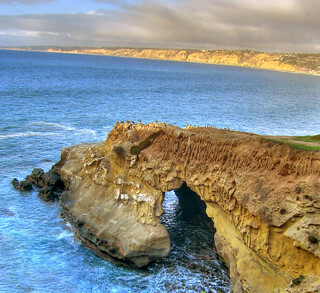 Did you know La Jolla is not a city? It used to be, but now it’s a neighborhood of San Diego. The US Postal Service gave La Jolla its own zip code and allows it's use as a "historically and geographically distinct area." I'm a geo-nerd. I've learned that the city a business lists in their address is sometimes a lie because an adjacent city has a better reputation. To what extent do you segment your efforts across Google, Bing and other search engines? We generally devote our efforts in relation to the share of each search engine. We are a global company so we pay attention, in order, to Google, Bing and Yandex. Groupon isn't big in China, so Baidu hasn't been a focus. It's really handy to have Bing around when you want to measure SEM cannibalization of SEO. Do you have strategies or plans specific to Google’s updates: Panda, Penguin and Hummingbird? We try not to get drawn in to the latest algorithm update mania. I do have a large Panda pinata on my desk, however. Our approach has been to build a great experience with original content and steer clear of any shady link building practices so we don't get too excited around pandas and penguins. Hummingbird has influenced us a bit in how we approach things. 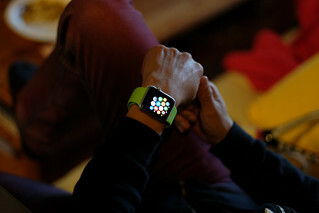 Are you thinking about wearable technology and how it impacts SEO? Personally, I am not thinking about wearable tech. My children think I wear my laptop as it is. Groupon is developing for Apple Watch and was one of the first to support Apple Pay. The future of SEO on small devices is certainly a question I think about. Just with mobile phones we see Google feeling irrelevant and therefore making a huge push now to index mobile apps. And even in web search on mobile, they certainly aren't giving good real estate to anyone but themselves on many local searches. I think about what voice-activated search means for search marketing. Siri isn't going to read me 20 links. But she might say "I found 10 restaurants within 5 miles of you and one of them has a groupon." Somehow I think that will only be available as an SEM (paid) solution, not an SEO (free) one. As we go to watches and glasses and internet-enabled underwear, I think it people's tolerance for more than just one result of anything will be very low. If it’s a commercial search, you're going to have to pay to be there, whatever "there" means. Note on the top header image for this post: the background was adapted from MoneyBlogNewz's photo at Flickr. Note: This post was originally published on May 19, 2015, then updated on August 3, 2016.